Today is the first day of Think Christmas. 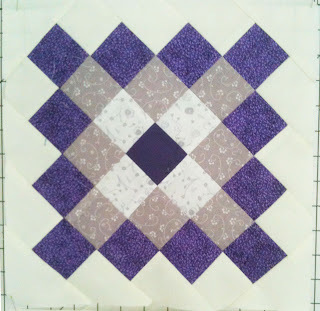 I had a wonderful time visiting everyone's blogs and see all the beautiful blocks, table toppers, runners, quilts and yes, tutorials on the blop hop. Do not know when I will have the time to make all the beauties. I do have some favorite, but I will keep it to myself. Do not forget to stop by tomorrow and visit. For a complete list of all the participants, head over to Lesley's blog. 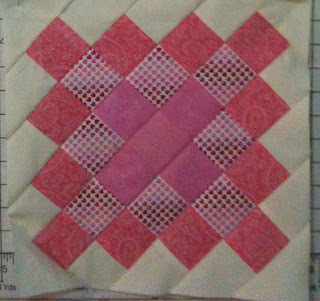 This is week 18 of the Zaaka Sew Along. Hosted by Lindsey and Sukie. This week's host is Tamiko from Patchwork Notes on her take on the Bread Bag. Here is a photo of my bread bag. The pattern was fairly simple to follow and great if you are a beginner. I am getting ahead of my Christmas gifts. I know just the person to give as a present. 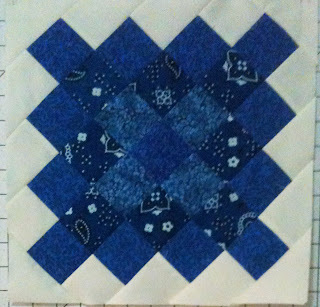 Only six weeks left for the Zaaka Style Sew-Along left and plenty of pretties to make. 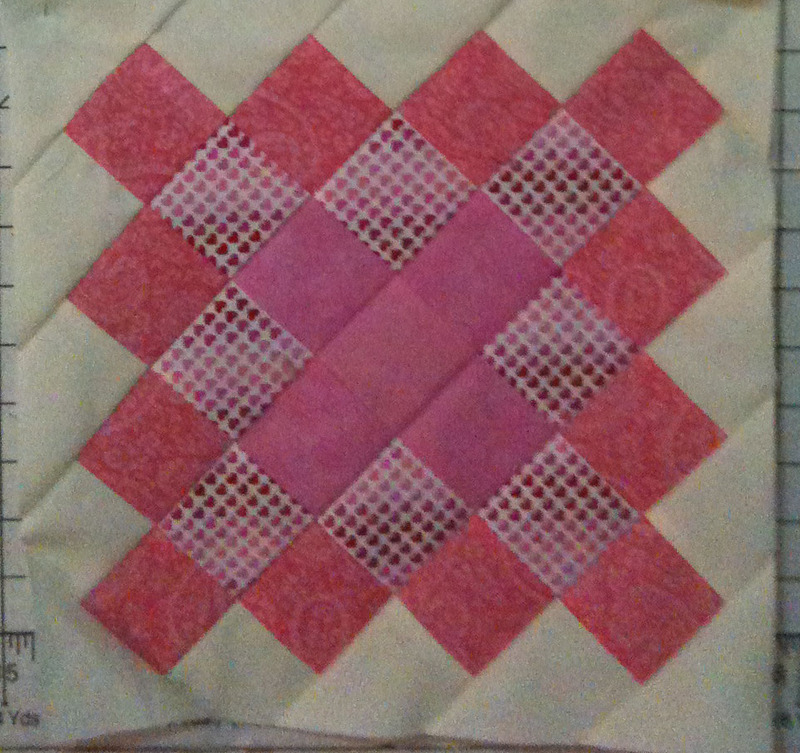 I have also been following along the Great Granny Along over at Lori's blog Bee In My Bonnet and Jodi at Pleasant Home. 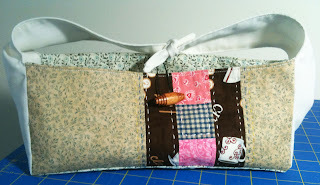 I found a great pattern to use up my scraps I have sitting in my tote. Here are three more of my blocks I am adding on Flickr today and hope to have three more to show. This one is staying home with us. Tomorrow is the last day of Index-Card-A-Day over at Tammy's blog. This was Tammy's second year hosting ICAD and I truly enjoy seeing everyone's card. I have not created my last two cards yet, but will try to get them posted sometime tomorrow on the Flickr group. It has been a challenge for me, since I only draw stick people, but it did take me out of my comfort zone. I hope you will stop by. Thanks again for visiting and hope to see you back here tomorrow.